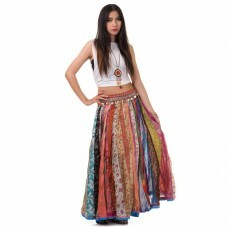 Handmade patchwork bohemian gypsy silk skirt.The skirt has vertically alternating panels of differen.. 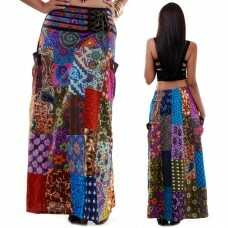 Handmade patchwork bohemian gypsy skirt.Cotton long hippie skirt in colorful batik patchwork d.. 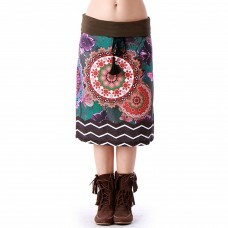 Handmade patchwork boho hippie gypsy skirt.The skirt has vertically alternating panels of different ..
Knee A-line skirt (Green).Features :Full length ethnic print front&back, contrasting ..
Knee A-line skirt (Black).Features :Full length ethnic print front&back, contrasting ..
Knee A-line skirt (Brown).Features :Full length ethnic print front&back, contrasting ..
Patchwork Long Batik SkirtDetails:* Size: One Size* Waist up to 39.4” (100 cm)* Length : 37.4” (95 c..
Patchwork tie dye long skirt.Details:* Size: One Size* Waist up to 39.4” (100 cm)* Length : 37.4” (9..